Located on the western coast of India, Goa welcomes hordes of tourists each year due to the umpteen number of things to do and see here. While 24 hours really isn’t enough time to do the area justice, Culture Trip has got you covered. There are a variety of adventures you can experience on your 24-hour trip to Goa, from relaxing on the sandy beaches and indulging in adrenaline-pumping water activities to gazing at the picturesque sunset and munching on the lip-smacking traditional Goan cuisine—plus so much more. Here’s our 24-hour guide that covers a little bit of everything that this beach town embraces. Start your morning off by enjoying a sumptuous breakfast with a beautiful sea view. 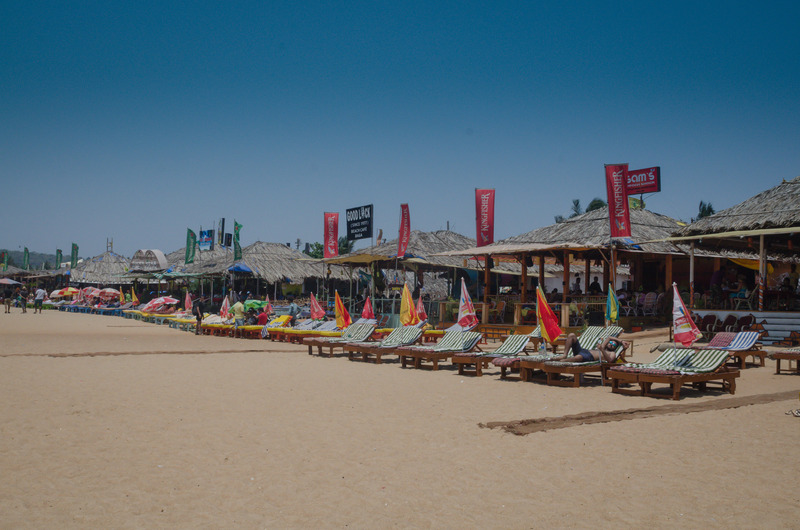 And, to do so, make your way over to Baga, Calangute, Vagator or Anjuna Beach—these are the happening beaches of Goa, dotted with a variety of restaurants and cafés offering delicious food, along with a sea view that will leave you awestruck. 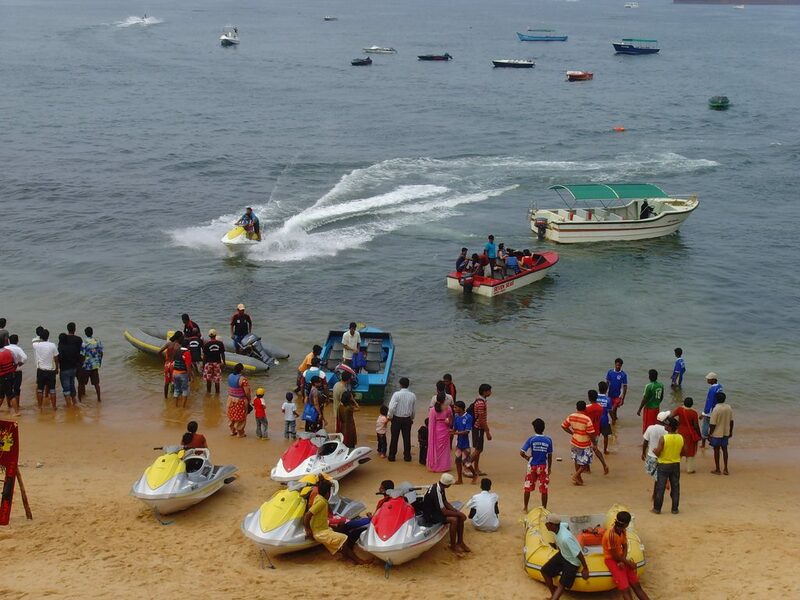 After you have fueled up, indulge in water activities on the beach. Goa offers a plethora of opportunities for water sports, including water skiing, parasailing, banana rides, kayaking, wake boarding, knee boarding, scuba diving, windsurfing, and the list goes on. Note: Water sports in Goa are closed during monsoons. 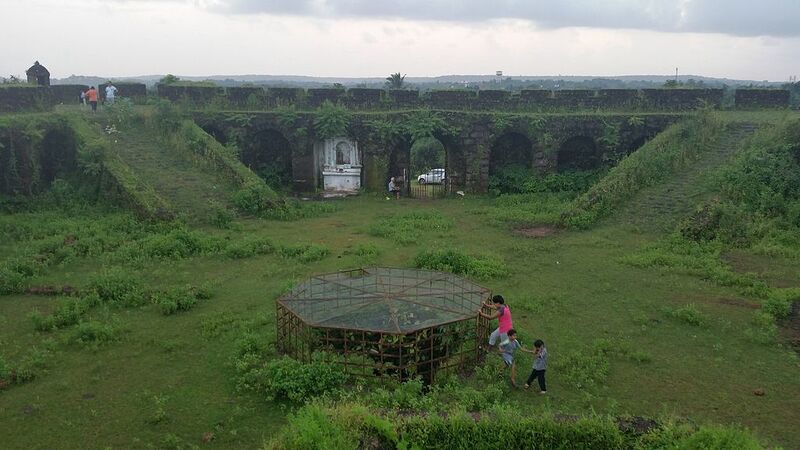 If you need peace and quiet, head to Chapora Fort, located near Vagator Beach. It offers awe-inspiring views of the beach and reflects Goa’s Portuguese past. 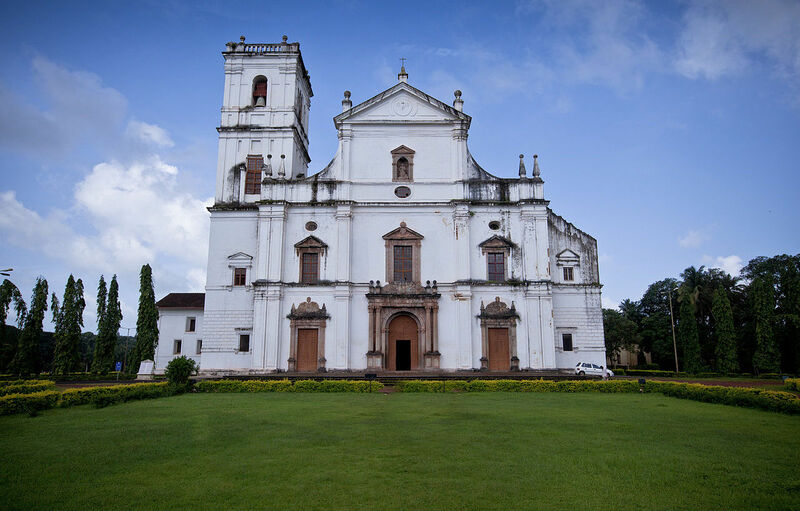 With the UNESCO World Heritage Site status, the Old Goa/Velha Goa is home to several famous churches and cathedrals built in the 16th and 17th centuries. 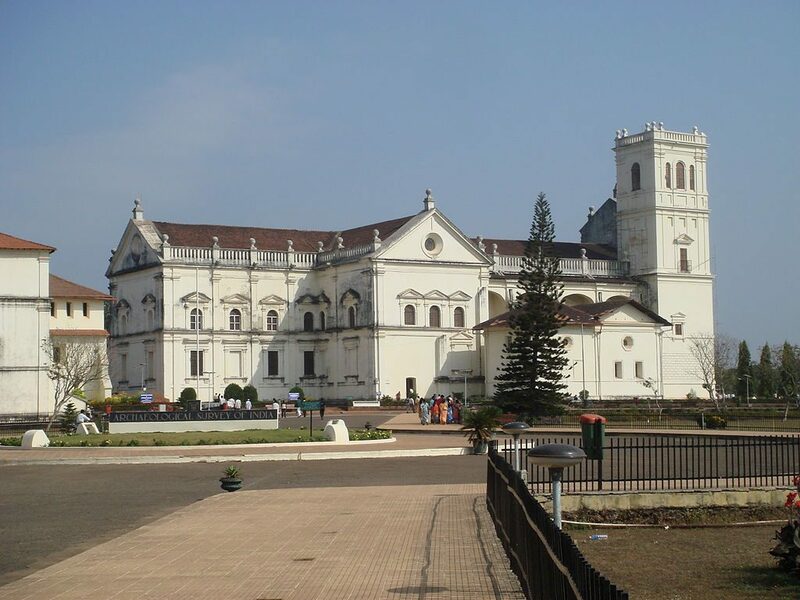 The most popular among them is the Basilica of Bom Jesus, known for its Baroque architecture and for holding the mortal remains of St. Francis Xavier. Another spot worth visiting is the Se Cathedral, which is Asia’s largest cathedral and has five bells, out of which the “Golden Bell” is among the world’s largest bells. Located just west of the Se Cathedral is the Church of St. Francis Assisi, which features heavily gilded woodwork and paintings. After some divine time, make your way over to the Museum of Christian Art; it features Indo-Portuguese Christian art objects spanning from the 16th to mid-20th century. All the art housed here is of historical importance and excellent quality. Woodwork, silverware, embroidery liturgical vestments and ivory are some of the pieces to seek out. When in Goa, this museum is a must-visit. To begin your afternoon, visit Fontainhas, India’s only Latin Quarter and the heritage colony of Goa, and explore it on foot—it’s the best way. With winding streets, and colorful and quaint houses and cottages with red-tiled roofs, artistic doors, and overhead balconies, you’re sure to fall head over heels in love with Fontainhas. The wishing well, Maruti Temple, the Chapel of St. Sebastian, the Fountain of Phoenix, Gitanjali Art Gallery, and Confeitaria 31 de Janeiro bakery are the major attraction points here. 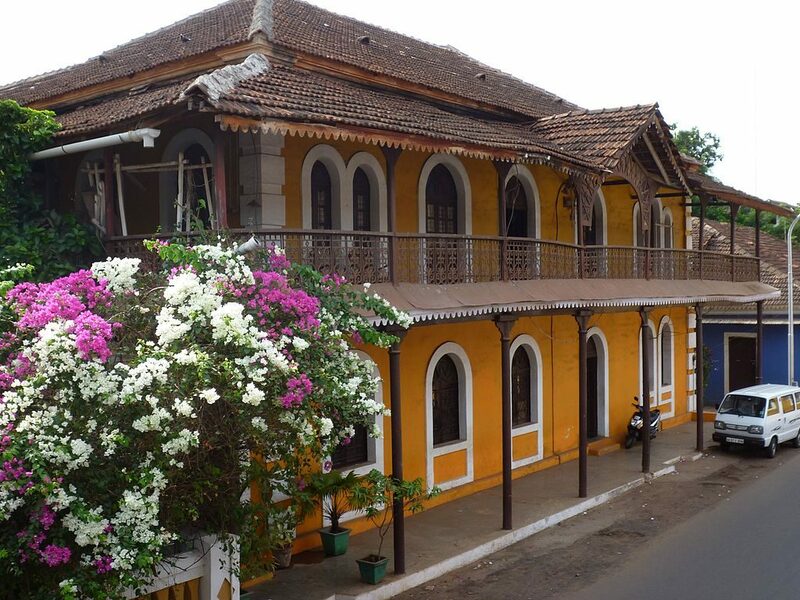 Also, do not forget to take a guided tour of the Panjim Inn, one of the best heritage hotels in Goa. In all honesty, you can spend your full day here and not be jaded. Take a five-minute walk from 18th June Road to Mum’s Kitchen, one of the finest restaurants in Panjim, Goa. Here, you can chow down on tasty home-style Goan food, such as Goan bread, pork vindaloo, prawn curry, chorizo chili, and mushroom xacuti. Round off your meal with the traditional Bebinca or caramel custard—both are nothing short of delicious. Time for some retail therapy! 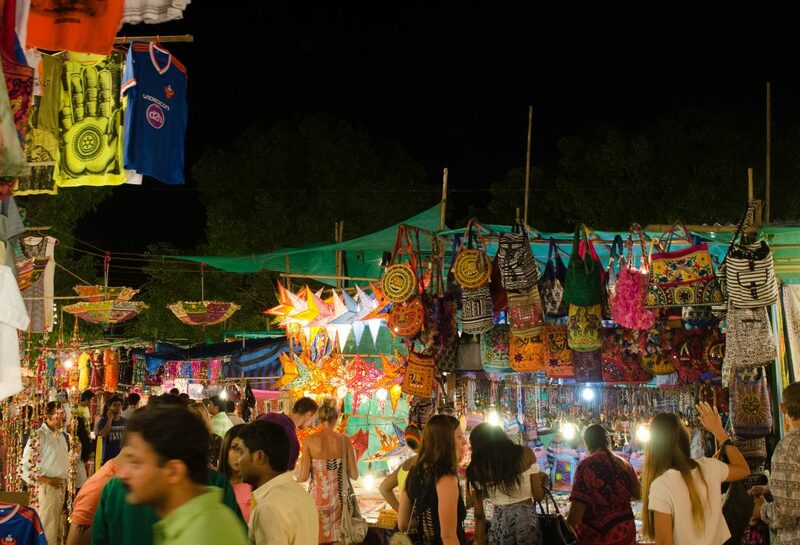 Though Goa isn’t much of a shopper’s paradise, shopping in its colorful flea markets is a must-do. If it’s a Saturday, you must visit the Saturday Night Market in Arpora. From clothes and accessories to vintage items, spices and much more, you will find unique items here. If it’s a Wednesday, make your way over to Anjuna Flea Market that offers everything from clothes and accessories to souvenirs, electronics, and even food items. Elsewhere, explore the Tibetan Market if you want precious stones, pearls, jewelry, and souvenirs. If nothing else, just stroll along, enjoy people-watching, and tantalize your taste buds with Goan street food in any of the food stalls, shacks or restaurants around the area. They say you haven’t been to Goa if you haven’t experienced its vibrant nightlife, so head to Titos Lane to experience the town’s very famous nighttime action. Whether you want a relaxed night or a hip one with live music and dance, Titos Lane has a variety. There are many bars and clubs in the area, with Tito’s Club and Cafe Mambo both being a haven for party lovers. Tito’s Club is the best nightclub in Goa, with celebrity and high-profile DJs, special acts and performances, a huge dance floor, and full-stocked bars. Famous people, locals, and expats flock here to enjoy the nightlife. Right next to Tito’s Club is Cafe Mambo, which is, again, one of the happening nighttime destinations in Goa where the party never stops. With international and house DJs spinning some excellent music, strong drinks and theme nights, such as trance night, retro music night, etc., Mambo is a nightlife gem. If you are looking for another fun way to enjoy a night out on the town, try your luck at one of the casinos in the party capital, as gambling is legal here. The gambling hot spots are Deltin Jaqk, Deltin Royale, and Casino Pride, to name just a few.